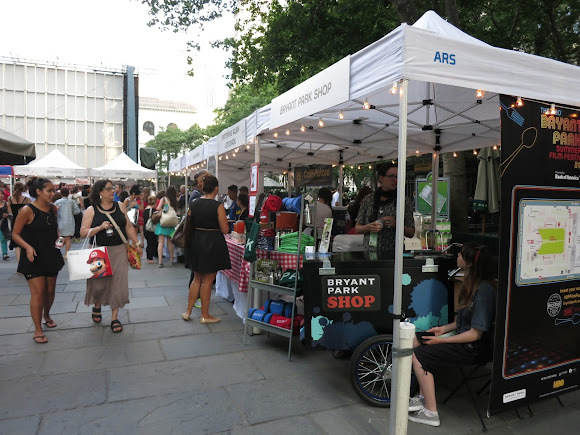 With the fifth night of the HBO Bryant Park Summer Film Festival presented by Bank of America coming up, we want to remind you of all the camera-ready apparel and supplies you can purchase at the Bryant Park Shop. The Shop has a stall each week at the Film Fest for your purchasing convenience. The shop, which is usually online-only, is IRL on Film Fest nights. First and foremost, you've got to have a blanket. Our Meet Me on The Lawn stunner is fuzzy, durable, and has a nice strap for keeping things neat while you're waiting to storm the lawn. It's also 100% cloth, which is good, because we ask that you leave plastic sheets and blankets at home. Our bright red blanket. Isn't she lovely? Summer nights in NYC can be unpredictable. 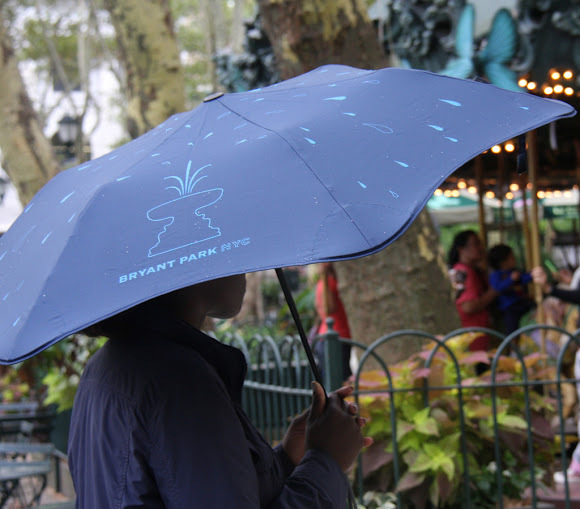 To stay dry on a rainy night--because remember, the films are rain or shine--you can snag a classic, durable Bryant Park umbrella. Our resilient umbrella, because the Film Fest can get a little damp! Many people bring a picnic to the Film Fest, though you don't have to--Hester Street Fair and our five delicious food kiosks present plenty of options for onsite food. 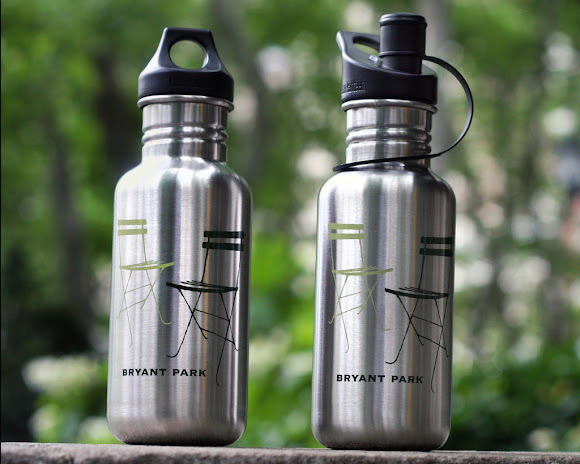 But if you're toting anything tasty, we've got you covered with our stylish and eco-friendly Bryant Park Baggu (available in a variety of colors,) and Klean Kanteen water bottle, which comes with a sports cap as an exciting bonus. Left, regular cap, and right, sports cap. 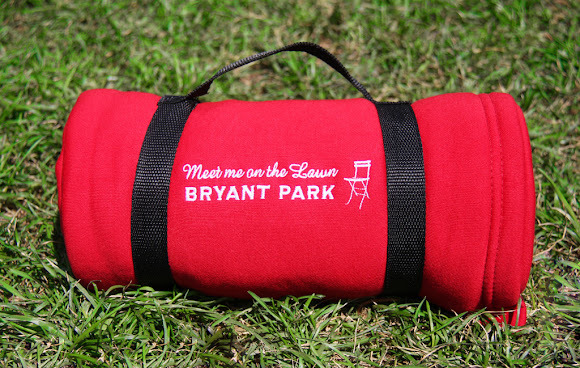 There's a sizeable chunk of time between the opening of the lawn at 5 PM, and the start of the movie after sunset. To pass it productively, we'd like to direct you towards a curated reading list of books about public space, New York City, and the making of Bryant Park. While you can't buy them at the store stall, we have all the links on the shop website here. This week's film is Badlands, but there ain't nothin' bad about a little self-promotion when all shop purchases help us fund the free programming you see every day in the park. Speaking of which--we'll see you Monday night.